Meanwhile, back at the ranch, upsetting things keep happening in Texas. Skylar Fox reports: “So in an astonishing display of complete whatthefuckery, the University of Texas Young Conservatives of Texas group were planning a ‘Catch an Illegal Immigrant’ game, ostensibly to ‘spark a campus-wide discussion about the issue of illegal immigration, and how it affects our everyday lives.’ Thankfully the university president, faculty council, and a distinguished law professor/advocate called hella BS.” In the end, YCT cancelled this “game,” citing fears of retaliation but not indicating any awareness that their proposed actions were horrifying. Meanwhile, don’t miss the Huffington Post’s sooper journalistic piece about how important it is to make sure the menfolk like your clothes. If that video made you smile, and you want to hold onto your happy feels, please skip the next article. Major TW for child physical abuse and neglect. If you feel grief or anger in response to the actions of the parents in the previous article, we think that means you’re a human being. If you feel grief or anger when people do horrible things to you, we want to give you a giant hug. However, Amy Morin at LifeHack wants you to know that if you feel pain when others act cruelly, you’re a mental weakling and should take responsibility (read: blame yourself) for any emotions you have in response to their actions. WTF? Also, these barbies are proportioned like actual human beings. Wouldn’t it be great if the dolls women are supposed to emulate looked like real people? Last but so not least, the American Psychiatric Association still lists being trans as a mental illness. People need to know about this. Being sexualized and labeled as disordered because of the medical care I need as a woman resonates strongly for me with the idea of hysteria, a diagnosis that sexualized women and saw them as disordered because of their gendered bodies. Yeah, the trans community is still stuck fighting hundred year old feminist battles. It’s a big planet, so we know we missed some stuff. What have you been reading this week? Thoughts on these articles? Let us know in the comments below! I’ve read some things this week, too. The bad advisor is AMAZING. I wonder though, how much leaving being trans as a mental illness means it’s easier to get medical support, since there is a way to get a diagnosis and thus health care. I understand why listing it as an illness is problematic, but until the rest of US medical care get’s to a place where transpeople don’t need to prove their transness to get access to hormones…I tend to accept this as a necessary evil in the short term. That was my thought too at first. The problem here is that at least according to this article, while Gender Dysphoria (which is an infinitely better name than Gender Identity Disorder) is supposed to reflect that it is the distress of not being cisgendered that needs to be addressed, there is no “out” from the diagnosis if a person goes through medical treatments, or talk therapy, and becomes happy with who they are. That is, even after the dysphoria is gone, the diagnosis remains. I agree that some diagnosis probably does need to exist for doctors to do their job and for insurance companies to pay for it. Still, there should be a way for people to no longer meet criteria for it once the dysphoria is resolved. Then there’s the issue with the transvestic disorder, which I find much more problematic. The APA has an announcement on why they are calling it a disorder, which is to reflect that there is cross-dressing and then there is clinically significant distress as a result of cross-dressing, and that only the latter is a disorder. However, the APA does not have a disorder to reflect clinically significant distress as a result of being homosexual, or any number of other things that are part of a person’s identity and can cause clinically significant distress. So what I’m wondering is, why are transvestic actions singled out as an issue when they cause distress while being homosexual is not? On the subject of it’s-only-a-disorder-if-you’re-distressed: That’s actually the exact compromise they made when originally removing homosexuality from the DSM. They didn’t think they could get away with removing it outright, so they removed the diagnosis of homosexuality as an illness, and then said that if people were really distressed about being “homosexual”, it was an illness. And then in the next edition, even that was gone, and nobody even fought to keep it. 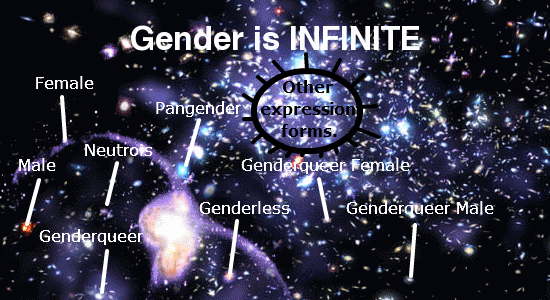 Which makes me wonder – is something similar happening with trans* as a diagnosis? Has the DSM-V come out yet? I forgot to keep track. PS I super super recommend the This American Life episode “81 words”, an hour-long show on the story behind the removal of homosexuality from the DSM. Sooooooooooooooooo good. The GoldieBlox commercial actually really annoys me. It claims to buck the pink advertising trend. . . and yet it’s advertising a pink princess product specifically marketed to girls. Why can’t we have toys that are GENDER NEUTRAL? Can boys play with GoldieBlox? I’m a little confused about your comment. Are you taking exception to 1) the fact that, in order to sell a STEM enrichment toy to parents of girl’s, they had to market it in a traditionally feminine way or 2) the idea that producing a “princess” styled STEM enrichment toy somehow excludes boys? Or maybe both? I think neither. The point (which is a valid one, though I’m not sure on the whole I agree that the ad isn’t a good thing) is that the commercial’s entire point is that girls do not have to be pink and girly and like only traditionally feminine things. But then it’s an ad for a pink princess toy. It’s co-opting the language and images of the revolution to support the status quo, in other words. I don’t really agree with that view of it, mainly because I interpret it as being more of a “we can market traditionally feminine things like pink princess stuff without all of the other implications, such as that women are weaklings who need men to save them or women aren’t interested in science, that often come with such advertisements” message. Or as Logan put it, furthering girls in STEM without shaming femininity. But it’s a valid point, and not really what you’re getting at in 1) and definitely not 2). Yes, 1 and 2 were my attempts at interpreting the original comment. My own thoughts align much more closely with Logan’s and yours. Sorry, I was being unclear with that last sentence. I know you were trying to interpret the comment, but I’m saying that both 1) and 2) aren’t what the commenter (sorry, don’t know what pronoun to use since I don’t know who you are, crepusculy) meant. I think crepusculy meant that the commercial’s point seems to be to include women in STEM things, but then it goes ahead and does a bait-and-switch by reinforcing gender norms and making it all about a princess thing. Also, are you geeky and feminist? Are you reading http://geekoutsider.com/ ? You should be! I almost can’t believe that we live in a society where courts think it’s ok to tell a pregnant woman that she can’t move. I mean, WTF??? At least it looks like it’s being fixed.